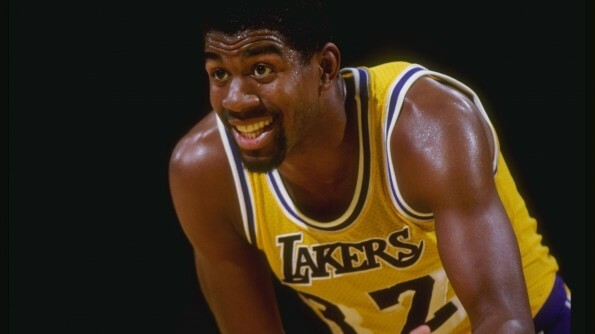 It was on this day in 1991 that Magic Johnson broke the record for all-time assists in a career. Magic earned his 9,888th career assist, breaking the record which was previously held by Oscar Robertson. Johnson would end his career with 10,141 assists, but his record would not last long. Less than four years later, John Stockton of the Utah Jazz passed Magic and went on to add over 5,000 more assists to his record. Stockton finished his career with an astounding 15,806 career assists. Like Wayne Gretzky’s career points total, Cy Young’s career wins total and Emmitt Smith’s career rushing total, John Stockton’s career assists total is a record that will likely stand the test of time. Here is a clip of Magic’s best assists.